A lot has been said in the past few months about Microsoft’s upcoming Andromeda/Surface Phone. 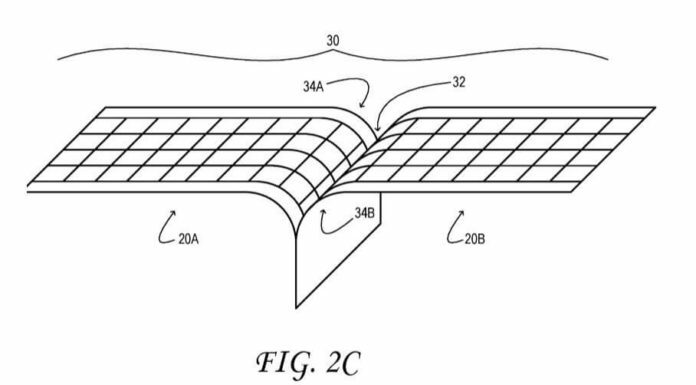 The two new Andromeda related patents which were submitted in October 2016, but published yesterday feature intriguing innovations developed by Microsoft to make a foldable phone user-friendly by outlining what could be done with a hinge right in the middle of the screen. Microsoft’s new surface phone, codenamed Andromeda is a folding tablet that combines the description of slate and phone. Another patent titled “Input based on interactions with a physical hinge,” explains how the sensors in Surface Phone could facilitate hinge gestures. This is done by measuring a first angle of the hinge and accordingly sensing movements. It is too early to speculate, but if Microsoft’s Andromeda device hits the market, it will certainly be a new-generation device. Let’s wait and watch to see what changes Microsoft’s surface phone will bring in the smartphone industry.